NAGAR and NMGC (hosts of the 2008 World Nagar Convention in Chicago, USA) are jointly publishing the 2008 edition of the Global Nagar Directory as part of the convention book. 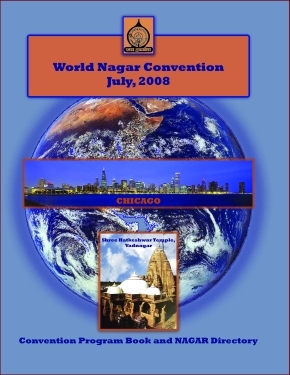 The cover of the convention book and of the Global NAGAR directory are below. 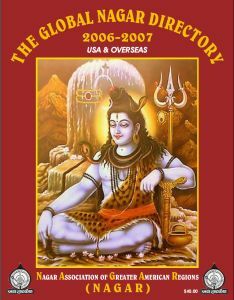 NOTE: A copy of the convention book and the directory will be reserved for all 2008 NAGAR members who are not attending the convention. 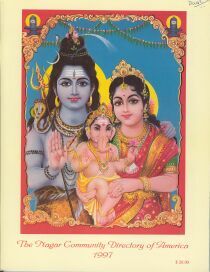 If you have not yet paid your 2008 membership, please do so through the My NAGAR page. This is no charge to include your family information in the directory. 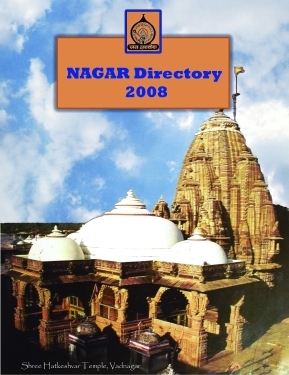 The 2008 Global NAGAR Directory was made possible by the entire nagar community. The directory project was led by Praful Bhatt (NAGAR President) and executed by Harshal S. Chhaya (NAGAR General Secretary). We also had lots of help from a several volunteer editors who painstakingly worked to ensure the accuracy of the data. NAGAR would like to thank Nikunj Kharod, Manoj Desai, Himanshu Desai, Pradip Buch and Bankim Vaishnav for their help. Finally, NAGAR is grateful to Smriti and Ujjwal Mehta, Pratik Mehta and the NMGC convention team for their work in integrating the NAGAR directory into the convention book. 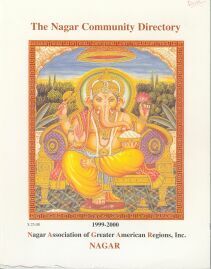 The 2006-2007 Global NAGAR Directory is now published and is being mailed to All Paid Members and Life Members. Please send your NAGAR Membership dues with the completed form and receive a free complimentary copy of "The Global Nagar Directory 2006". 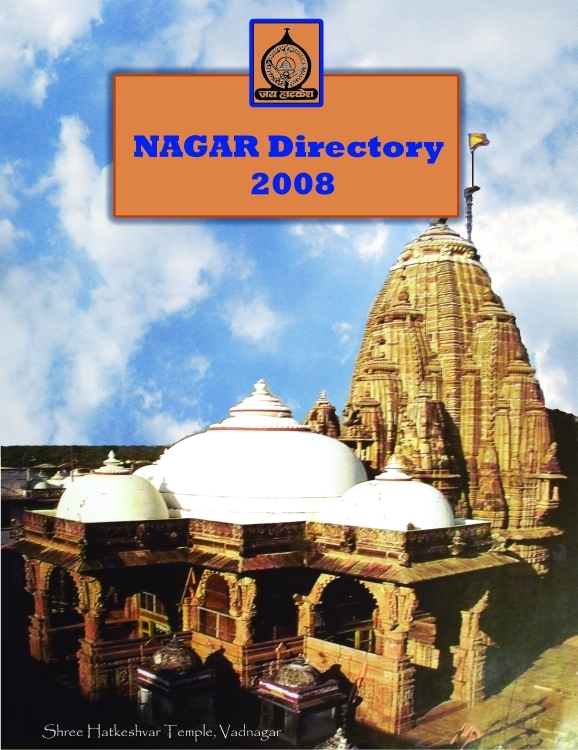 This directory includes information from over 1000 nagar families around the world. Thanks to all your help and support in this project. All the data in the directory is also available on this website through the search pages. You can also update your OWN information by logging in to the web site. You can also help make the database more comprehensive by asking your friends and family to add their information. There is NO charge to include your family information in the directory. Please remember to become NAGAR Inc. member by including a check for US $ 30 for annual membership, OR become a Life Time Member to receive all future directories, planned to be published every two years. 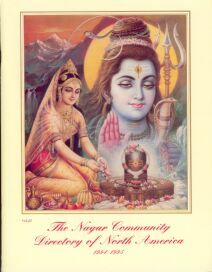 NAGAR Inc. needs talented community volunteers to produce this directory and other Community publications. Please contact any of the officers, listed on the web site, for more details.